We know how battles take place on the surface of the earth. We know how battles take place in the air above the surface of the earth. We are accustomed to being surrounded by warfare. What we are not aware of is the fact that the most epic battle of all time took place in the depths of the earth. The place of battle had been determined. Strategy was in place. God, the Judge of the Universal Court, was watching from a distance. Across the chasm, those present in the safety in Abraham's Bay were watching closely. There were only two combatants involved. It was one-on-one and hand-to-hand. It was the battle for the souls of humanity. Discover the outcome of the battle and what it means for you. A Colorado native, Stan completed his undergraduate degree at Western State College and has since earned graduate degrees at CI Graduate School of Theology and Wagner Leadership Institute. Stan has actively participated in prophetic and apostolic ministry since 1985 and more recently has engaged in Clinical Pastoral Education. He holds certifications as Clinical Chaplain and Pastoral Counselor. Stan's desire is to communicate greater awareness about the spiritual dynamics associated with the Christian gospel. Writing in the tradition of the early church fathers, he has authored The Lamb's Trilogy, a work detailing God's provision throughout all of human history. 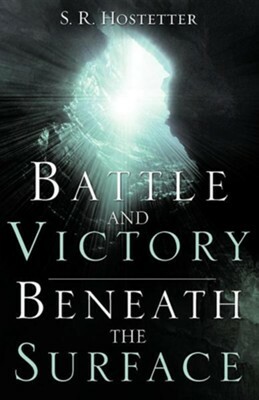 The titles contained in the Trilogy are Garden Promises, Battle and Victory Beneath the Surface and To Fill the Earth. Stan and his wife Becky reside in Westminster, Colorado, U.S.A. I'm the author/artist and I want to review Battle and Victory Beneath the Surface.